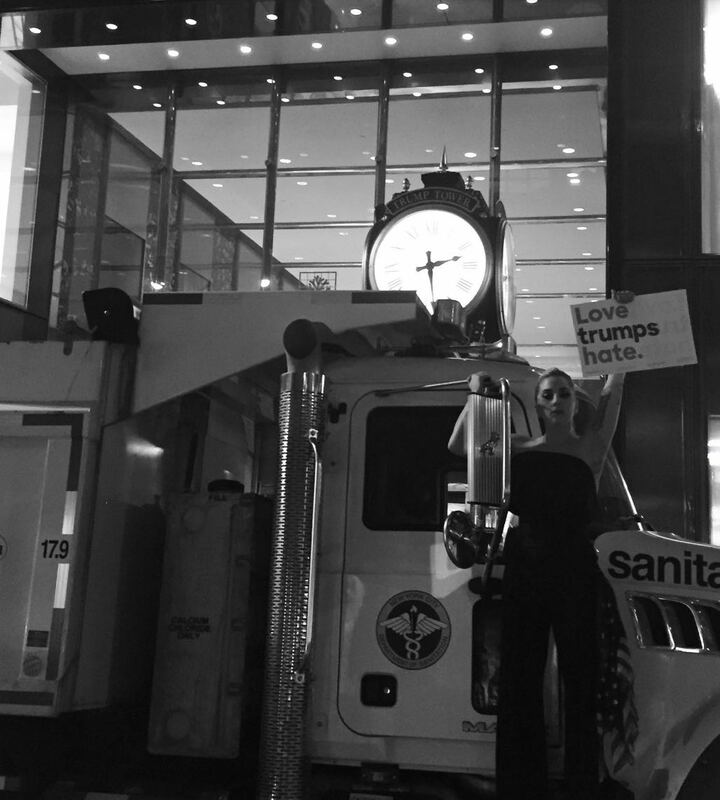 Lady Gaga took a stand outside Trump Tower in Manhattan early Wednesday morning following Donald Trump’s victory over Hillary Clinton. The ‘Perfect Illusion’ and ‘Bad Romance’ star has been very vocal in her support of Hilary Clinton – making an appearance to speak and perform at her final rally, while also drawing criticism for those who confused her outfit with that of a Nazi. Gaga was among the musicians who responded to Donald Trump’s victory negatively this morning – tweeting ‘say a prayer America’ when she heard the result. Now, she’s protesting against the new President Of America outside his own Trump Tower in New York with a sign that reads ‘Love trumps hate’.